Just like TVs, most modern projectors give you a lot of different ways to watch content. Multiple connection options are great if you want a projector that’s more versatile, but it can also make it trickier to figure out how to set up your system. No matter what other options they offer, pretty much every home theater projector will at least have one HDMI port. Connecting your laptop to a projector with HDMI isn’t much different than doing it on your TV. In either case, it’s very easy. We’ll walk you through the steps below and you’ll be watching your favorite shows in no time. The main reason to use HDMI is convenience. It’s the connection you’ll be most likely to find on the widest variety of A/V and electronic equipment, including projectors, laptops, and gaming consoles. 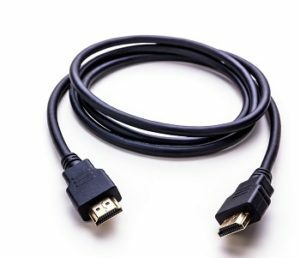 Because it’s used so widely, you’ll also find a lot of options when you’re shopping for HDMI cables. Whatever length or style of cable you need, you’ll be able to find one pretty easily (and affordably). The biggest advantage of HDMI when it first came on the scene was that it cut down on the number of cables you need to use. Both your video and your audio will travel through the same channel, sparing you the complex cable mazes of old. HDMI also has benefits when it comes to video quality. Since it transfers uncompressed signals there’s no quality loss. If you want the absolute best resolution, look for a Category 2 HDMI cable. They’re much better at sending 1080p content than previous iterations of the technology. There are two important things about the cable from a practical perspective: the connections and the length. Most laptops have an HDMI port, even slimmer models like Chromebooks, so that shouldn’t be a concern. Check the placement, though, and make sure that the cable you buy won’t impede any other connections. Where your projector is mounted will determine how long the cable needs to be. Measure the distance between the projector’s HDMI port and where your laptop will be while you’re using it. If possible, get a cable that’s a bit longer than you think you need to give yourself some wiggle room. It uses a lot of power to play a movie on your laptop. Because of this, some laptops have built-in power management features that prevent it from sending content through HDMI when it’s running off of the battery. Plugging in your laptop will also improve its overall performance. You’ll be less likely to get interruptions or delays. The picture quality will likely be better, too, since those same battery-saving features mentioned above will often automatically lower video resolutions. If you can’t plug in your laptop while it’s connected to the projector, you can adjust these power settings by going into the control panel. Keep in mind, though, that sending HD content from your computer through HDMI without restrictions will drain your battery very quickly. Plug the cable into the HDMI ports on the projector and the laptop. If there are multiple options, use one that is only for HDMI, not shared with any other connections. This will help to make sure that both the video and audio are sent to the projector smoothly. Turn on the projector and the laptop. If the projector has multiple ports, double-check which input channel you’re on and make sure it’s the one connected to your computer. At this point, your laptop should be successfully connected to your projector. If the picture doesn’t come up on your projector right away, there’s probably an easy fix that will get you up and running. Check the tips below if you’re having problems. Tip #1: Double-check the connections. Make sure that the HDMI cable is firmly plugged into both the laptop and the projector—sometimes it can get jostled loose during set-up without you realizing it. If the connection seems secure, go into your laptop’s settings and make sure it’s enabled to send content through HDMI. Tip #2: Restart both devices. Most devices will recognize a new connection automatically, but sometimes they have a hiccup. 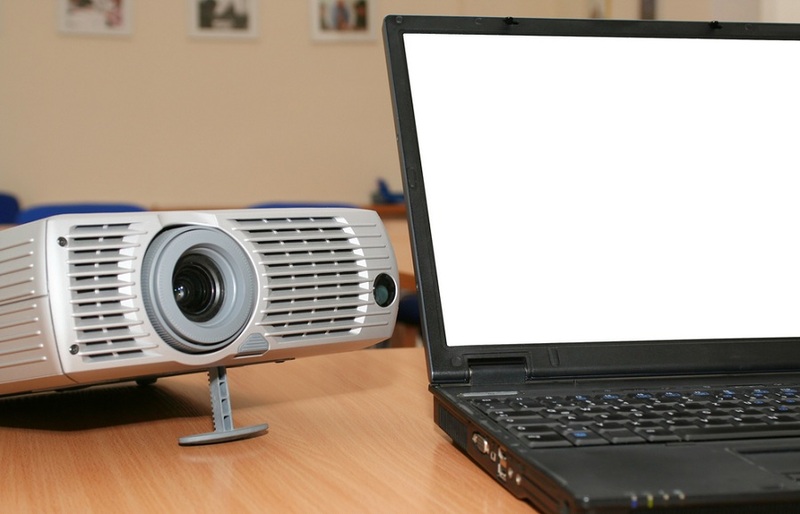 Leaving the connection in place, shut down both your projector and your laptop. When you reboot them, turn on the projector first, then turn on your computer. This should fix any issues with either device recognizing the connection. Tip #3: Check your cables. 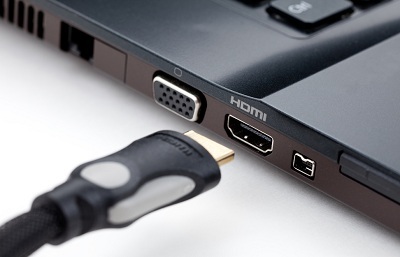 HDMI technology is designed to be backwards-compatible—you can use a Category 2 cable on a Category 1 connection without concern. Going the other way is when you might run into problems. If you’re repurposing an old HDMI cable with newer equipment, it may not be able to handle the signal sufficiently. If the picture looks pixelated or blocky, you probably need to update your cable. An old cable can also be responsible for intermittent connection problems or audio loss. Projectors with wireless capability can be expensive, but wired connections aren’t always practical. This is especially true if your projector is mounted on your ceiling. The good news is, you can turn any projector with an HDMI port into a wireless projector with a wi-fi dongle. Something like this Sumboat Wireless Dongle costs less than $30 and will work with phones and tablets as well as your laptop. 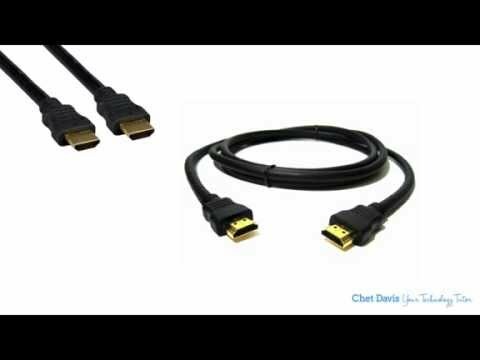 In most cases, connecting a laptop to a projector through HDMI is as easy as plugging in a cable. If you do have a hiccup, fixing it is usually just a matter of tweaking your settings and checking your connections. Hopefully, the tips have helped you get your projector system up and running!